The definitive haematology textbook of choice for medical students Hoffbrand's Essential Haematology has built a reputation as the flagship haematology textbook for both students and junior doctors, providing an authoritative introduction to the subject. 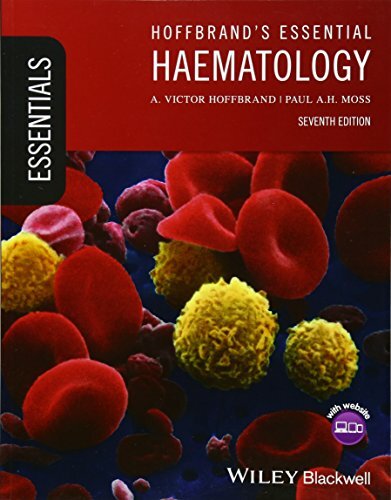 British Medical Association Book Award Winner - Student Textbook of the Year 2016 The definitive haematology textbook of choice for medical students Hoffbrand's Essential Haematology has built a reputation as the flagship haematology textbook for both students and junior doctors, providing an authoritative introduction to the subject. Now in its 7th edition, this classic text provides up-to-date knowledge of the pathogenesis, clinical and laboratory features, treatment of blood and bone marrow disorders, in its concise and user-friendly style. Hoffbrand's Essential Haematology outlines the basic principles of clinical and laboratory haematology and shows how manifestations of blood diseases can be explained by new knowledge of the disease processes. It is an indispensable resource for students and trainees and an essential read for all specialists who are interested in updating their knowledge. Hoffbrand s Essential Haematology: * Provides up-to-date knowledge of the pathogenesis, clinical and laboratory features and treatment of all blood disorders * Features detailed information on the new genetics of leukaemia and lymphoma * Includes a new chapter on thrombosis, focussing on the new oral anticoagulants * Is beautifully presented, with over 300 colour illustrations * Comprehensively covers both theory and treatment regimes Includes a companion website at www.wileyessential.com/haematology featuring all the figures and tables from the book, and over 300 interactive multiple choice questions. This title is also available as a mobile App from MedHand Mobile Libraries. Buy it now from iTunes, Google Play or the MedHand Store.